No more typing the same phrase again! Generate entire documents with a few clicks. Quick access to the Windows Clipboard History. Automate tedious tasks on your computer! 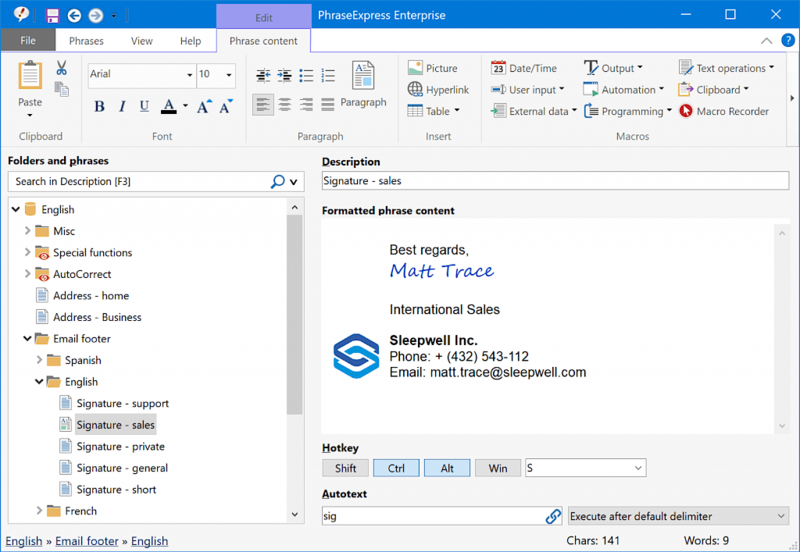 Seamless integretation with the Text Expander PhraseExpress. Share one mouse with multiple computers! Control multiple computers from one mouse & keyboard. Works in any direction between Windows and Mac. Share the clipboard and drag & drop files between computers. We are proud to serve a broad spectrum of international customers from the service, research, trade and industry sectors. ...as well as many other well-known companies, banks, clinics, law firms, medical practices, authorities and private users. Our 20th anniversary marks an important milestone and we thank our customers, staff members and partners who followed us through our exciting journey.